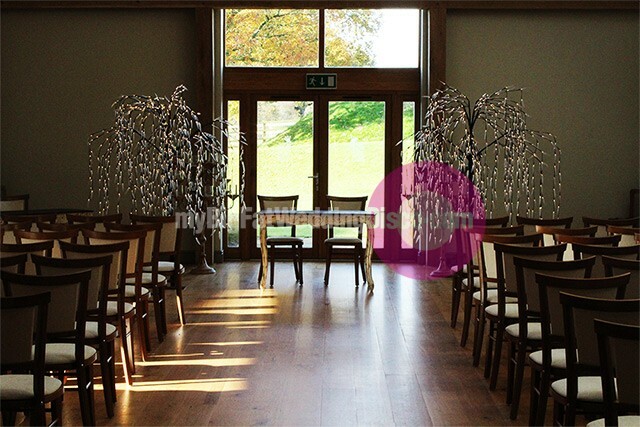 Hire our fantastic illuminated willow trees which provide a warm and vintage feel to any venue. Not just for weddings, these tree decorations can be used for any event or party to lighten up and/or fill a space within a dull corner. Simply position and plug in to create a great atmospheric effect. Discuss your requirements with us and we can even arrange to be at your venue to set up before you and your guests arrive. Each tree is 2 metres tall, with a low voltage system which is safe to touch should children be around. The tree decorations are seen here in one of our favourite venues, Easton Grange, and you can see for yourself just how effective they are. These illuminated willow trees are available to hire so please contact us now for more information.